In some people, cancer causes "loss of appetite." Only it's not really a mere loss of appetite; there is no good medical description for what really happens. I know because I'm experiencing it. "..the inability to eat and the associated weight loss often causes conflicts within relationships. In fact, nutrition and nutritional status have a central position in the concept of health and wellbeing for many patients and care givers, and weight loss and inadequate nutritional intake can lead to anxiety and a feeling of hopelessness. Available data suggest that patients and their families view poor appetite as the most distressing symptom they encounter during cancer treatment." And what happens is that family members, not knowing what else to do, nag us to eat. Cancer patients aren't alone in this "loss of appetite." Liver disease, HIV, heart failure, kidney disease and others can cause it, either temporarily or permanently. But since I write about cancer, I have to say that it is very common in people with advanced cancer, especially those of us who have it in our GI area. No, not everybody has it, but plenty do. There is a formal name for this: "anorexia-cachexia syndrome." It's why you picture a dying cancer patient as wraith-like; like Steve Jobs. Let's just say that at a certain point in the disease, most of us are not really worried about keeping our figures. I know that it is very disturbing for family to watch their loved one wither away, especially when you think that it's because they don't eat. You are puzzled when they turn down food or only eat a few bites and won't can't do anymore. You may even get angry. "Don't you know you have to eat?" you say, exasperated. You may believe that they are being ornery, or don't realize how little their food intake is, or are just not hungry and should eat anyway. "If they will just eat," you think "maybe they could get better." So you nag. You believe that it is within the sick person's control - mind over matter. Force it down. I understand this thinking all too well. My mother died of cirrhosis of the liver and she barely ate for the last years of her life. She was about 70 pounds at her death, and she was normally in the 130s. Naturally, this caused incredible distress for my father. My parents were never big eaters, but after they retired and moved to Nevada, they did enjoy going out to lunch every day and eating a sandwich or steak. They rotated restaurants; my dad, the big flirt, always chatting up the waitresses. At some point, my mother stopped ordering food. (Although not wine.) Because it was their only meal of the day, she began losing weight. And more weight. At that time, she didn't have a diagnosis of anything wrong, so nobody understood what was happening or why. In frustration, my Dad asked me to come and cook for them, thinking home-cooked meals might tempt her. Being a dutiful daughter, I took a week off work (this was ironically just a couple weeks before I was diagnosed with cancer.) I spent time cooking all of my mother's favorite meals, freezing leftovers so at least my Dad would have something to eat. I knew it would do no good for my mother - but I, too, believed it was because she was stubborn. I thought she lost her appetite because of her drinking but could eat if she wanted to. Knowing she wouldn't listen to her daughter, I didn't spend any time trying to talk her into it. But my dad was hopeful my cooking would help, and during her afternoon naps, he would tell me about his worry. The rest of my family spent time literally begging her to eat. He and the rest of the family told her how much her body needed food, encouraged her to "take one bite," and all the rest of the things she, as a smart woman, already knew. Her only response to these many entreaties was to shrug, light a cigarette and pour a scotch. Now we know she was sick from end-stage liver disease. And now, sick from end-stage cancer, I see the other side of this food story. The only difference for me is I don't get any calories from alcohol. My mother didn't have the capability of explaining what was going on with her - but I do. And not only do family members need to hear it, medical professionals do too. First, you must understand that while they call it is a "loss of appetite," it is much bigger than that. You may be able to eat when you aren't hungry - we can't. This problem of being unable to eat is not a matter of will-power, nor is it in our control. It is a symptom, a complication of our disease, same as a runny nose caused by a cold. Pleading with us to eat is like begging somebody with a cold to stop their nose from running. The patient wants it to stop too - but it cannot happen, they have no control. They aren't being stubborn or willful because they cannot command their body to stop making mucus. They literally, physically, cannot. See more at: http://www.cancernetwork.com/cancer-management/anorexia-and-cachexia#sthash.Hw0aa190.dpuf "
"Cancer cachexia is a multifactorial syndrome defined by an ongoing loss of skeletal muscle mass (with or without loss of fat mass) that cannot be fully reversed by conventional nutritional support and leads to progressive functional impairment”. It is physical, and it isn't a problem somebody can mentally talk themselves out of. I do have a loss of appetite although that phrase does not encompass all that I experience. Appetite isn't the same as hunger. I wouldn't say I never feel hungry because there are times when I am hungry, although not the way I used to be. People think I should smoke weed, or get some prescription drug that will increase my appetite, but being hungry is really not the problem; it's what happens after I'm hungry that is the problem. I have no desire for food, even if I get hungry. In fact, food is repulsive to me. Just the idea of eating makes me uncomfortable. I used to be a foodie, and cooking was a hobby. I enjoyed watching TV shows about food and trying new recipes. My husband and I thought when we were retired we'd eat out regularly, trying new restaurants, travelling to places like Chez Panisse. My town has a good food scene. I used to know when restaurants opened, and I intended to sample it all. Now, food is revolting. Even when I do feel hungry, the idea of eating grosses me out. As my husband shared, he does the cooking now, and he frequently asks me what I want to eat, because of course, he wants me to like what he cooks. But the answer is nothing! I don't want to eat, it is unpleasant to even think about it. Angering even. Food is no longer desirable. It's an intense annoyance. The things I used to like don't taste good to me anymore, and not only that, the texture seems weird. I used to love eggs - I could eat eggs every day. Loved them fried, scrambled, poached, hard/soft boiled, on salads and pasta, you name it. Now they taste sour. And the texture is nasty. A scrambled egg seems to have a gritty texture, like it's filled with sand. An egg over-easy, the way I loved them, is like oil. I can't even remember what I liked about them. Anything creamy seems oily to me which is why I can't tolerate those Boost type drinks. I physically react to food that I no longer like - just a few swallows and my throat closes and I wretch from disgust. Giving me food is like putting a plate of crickets in front of me and expecting me to eat it. I think of the crunchy legs in my teeth and shiver. Just....no. There are still foods I like. Fresh fruit. Oddly, I like sweets now, candy, like a little kid. My husband buys whoppers for me. I can't eat an entire candy bar but a couple whoppers give me the sweet I want without hurting my stomach too much. Hurting: I feel very full, very fast. I eat three grapes (or whoppers) and I feel like I ate a Thanksgiving meal. Fruit hurts for a lesser amount of time, which is why I like it. If I eat a regular meal, say a piece of chicken, potatoes and vegetable, it's like I ate a full Thanksgiving meal - twice - and added four pieces of pie. My stomach hurts from the cancer anyway and adding this fullness to it becomes overwhelming. Feeling full has always been uncomfortable for me; it's probably why I've always been thin. But now being full is more than uncomfortable. It's pain, real pain, true pain, not happy "Oh I overate, groan pain." I feel like I've been punched in the stomach and my meal consisted of knives stabbing me from the inside. It feels like my stomach is full of rocks, and I'm weighed down, and each movement causes pain. And it can take 8-10 hours to digest and go away. Because it's hard to stand for a long time, and my feelings about food have turned unpleasant, my husband does all the cooking. I do eat a meal at dinner. Not a big meal, but a meal. My husband needs to eat and by dinnertime, that's when I also try to eat. But when my body says to stop eating, I have to or I get sick and feel pain. Not nauseated sick, just painful, repellent sick. I'll wretch if I overdo it. I had a big meal the other night - a babyback rib and a 1/4 cups of greens. To me, these days, that is a lot of food. I'd be shocked if I ate 500 calories a day. And then, after dinner, the pain comes and can hurt for hours. Still, I get as much in as I can. That IS forcing myself because my desire and inclination is to never eat again. But I know it's not much. My body simply rejects food and it's beyond my control. I weigh 89 pounds now. That really isn't as terrible as you might think, because my normal weight hovers at around 100. I think I was 104 when diagnosed. My highest weight ever not pregnant was 107 so I'm really not as thin as it sounds. But just 2 months ago, I was 95 and it had been steady at 96-97 for a year, so we are going in the wrong direction. I don't eat much but it's the same amount I ate 3 months ago. So the cancer is clearly changing my metabolism. I am starting to look pretty skeletony. My hip bones show, my rear end is completely gone and my jeans, a Size 00, hang on me. Being this thin is uncomfortable - sitting hurts, sleeping can hurt, bones clang against bones. I sit reading with my knees up and my silly husband likes to come up and kiss my knee. I'm afraid he's going to get a cut. I am trying to describe this for those of you who are living or caring for somebody with end stage cancer (or other disease) and who is starting to experience this problem. I want you to understand that it isn't their fault. And it isn't YOUR fault. You can't make somebody eat, and here is what you must understand - they can't make themselves eat. It's distressing for all involved. I know it is hard for you to watch. You want so badly for us to get healthy and survive longer and we know that. Remember, it is hard for us too. We want all that too, and have the added burden of knowing our loved ones don't understand, and think we aren't trying hard enough. No cancer patient should feel upset at themselves or feel like they are disappointing others for having a disease. And this is a symptom of a disease. When you nag us about eating, you make us know we are hurting you. We feel guilty that we can't do something that seems so easy. Many cancer patients do not even understand this is part of the disease process and not in our control, so we are upset at ourselves, and think we are doing cancer wrong. So if you are living with an anorexic cancer patient - and you understand now that suggesting/nagging/begging us to eat won't be effective - does that mean you can do nothing? No. I have suggestions. This is getting long, so I will write a part II about what is, in my opinion only, the best thing to do for us. Ann, sometimes it isn't even the cancer that takes our appetites. Sometimes it is the cancer treatments. I've had this happen with treatments. A couple, where as expected, I lost weight when I ate less, and one where, despite loss of appetite and less eating, I gained weight anyway. Yes, I wrote that in Part II. But I"m really talking about those of us experiencing this end-stage appetite thing, there is a difference. Thank you. I'm not giving up yet - I'm hoping my new chemo will shrink tumors and help me eat again and gain weight. But I know this is something that doesn't bode well for me. I'm hanging in though. Ann, I have to thank you for this post! I am "dealing" with anorexia in my elderly mother & we literally "fight" about food every single day. This has opened my eyes to understand what she is experiencing & why she keeps refusing so many of the foods that she used to love!! So helpful to read this! EXACTLY why I wrote it, thank you!!! It is hard for her too - she may not fully understand. But don't fight with her. I will post Part II in a day or two and I have suggestions how you can help without blame. I know, I think it happens in every family. And NOWHERE online that I can find is a description from the sick person's point of view. Even doctors say "eat more" as if it's in our control. They, of all people, know it isn't something we can control, but they are also helpless in the face of us appearing to starve. They can give us hormones or steroids, but studies show they don't work. So they are just helpless, and say "....eat." Of all my posts, I would like this one shared. Because it is so disturbing on both sides. And if everybody understood that it wasn't anybody's fault and can't be changed, it would make live easier for all. I know from an outsider's point of view, it's easy to think "just eat' but you might as well tell a person with a broken leg to get up and ski. Thank you so much for this incredibly informative post.I'm sharing it with my primary care physician. I have been thinking about this and don't dare presume/assume anything. I do not suffer as greatly as many others and as far as I know, the cancer has not gone anywhere else (will find out in Jan). However, I have not seen anyone say anything about juicing (vegetables) or using ginger for nausea. Both have helped me tremendously. If you think this is an appropriate comment to my post, I clearly have not done my job as a writer. I am talking about an end-stage cancer complication, not one that is caused by early stage cancer/medication side effects. Your experience isn't relevant but if you don't know that, I clearly need to work on this post. This isn't about nausea. 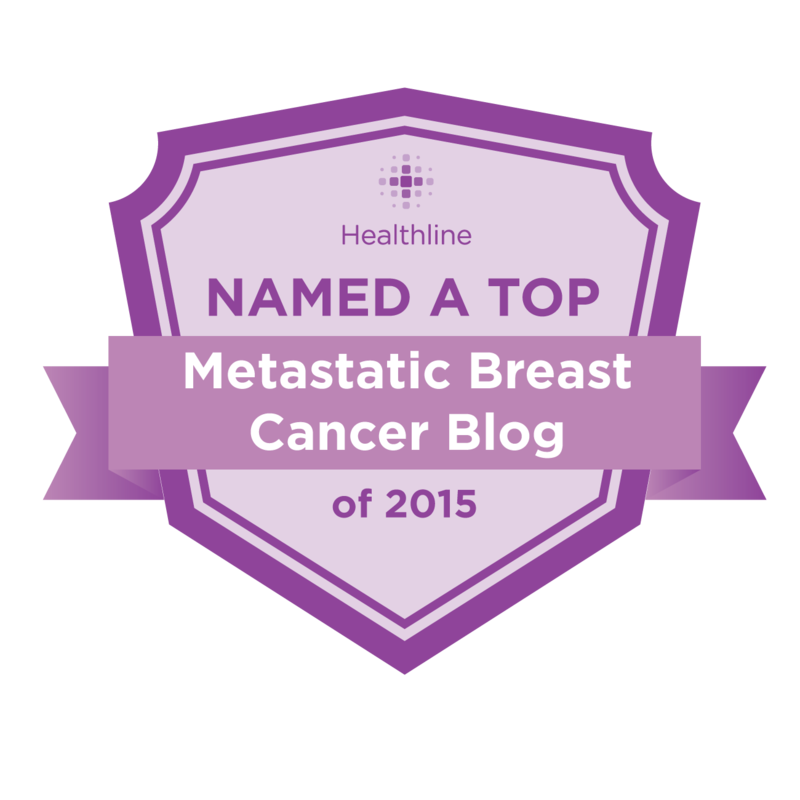 Your situation with stage 0 or stage 1 cancer is not comparable to end stage metastatic cancer. Your comment is not relative. And frankly, it's insensitive. Perhaps you should reread the article. Ann, I don't think there's any failure on your part as a writer. I think the failure is on the part of the commenter to post a comment relative to the subject. You've done well and I appreciate this. I am saving this for my family. 40 pounds in 6 months. Just keeps coming off. Tired of the nagging. I didn't understand it myself but now I do. Thank you very much. No, Ann, you covered it well. I've never seen it explained from the patient's viewpoint. Of course, I have dealt with this in my role as caretaker in the past and learned early this was out of the control of the patient. I wish I had understood it even earlier, though....save all that angst for all of us. I am stage IV and I know this is inevitable. I've seen it too many times. I'm saving this for my kids, for well meaning friends. You said it in a way I would not be able to. Thank you. I wonder if the unhelpful posters just don't like what they learned. They learned that end stage cancer is horrible, and the only thing one can do is to accept its realities and make the best of them. So many people keep thinking they can avoid hard truths if only they eat this, avoid that, etc. I have low-tolerance for this type of attitude anymore. Bless you, Ann for sharing your experience and explaining it so well. Hearing it from a patient experiencing it ,is a gift your writing gives. This phenomena is very common in cancer. Everybody is so afraid of it that some believe they have the answer. It's a form of magical thinking in the hopes of warding off the worst. But It happens in many situations: car accidents, accidents involving kids. "I'd never let my child be there" or " I wouldnt drive on that street" or "I wouldn't eat that so it couldn't happen to me" is a way of distancing themselves from tragedy and reassuring themselves they are safe. In a way, we all do it reflexively to some degree. We hear about a tragedy and look for reasons why it won't be us. The truth is, bad things happen out of the blue and we have very little control. Thinking ginger or marijuana can help an end stage cancer patient is part of that type of thinking. If one can't get food down, juice doesn't matter. I can't get anything in my stomach without serious pain, no matter the form. They feel comforted they'll know what to do if it happens to them and be better off, but they are wrong. First, every study shows that marijuana and other medications cannot reverse cachexia. And it has been studied. (And I happen to know it doesn't increase appetite when that part of your body/metabolism has stopped working). I think some people are confused about a side effect of early stage chemo, which will go away, and a true metabolic change caused by advanced cancer and which is a sign the end is not far. I thought I made it clear which one I was talking about but wonder now if I did. Or some people truly do not understand the difference between what somebody like me has been through and continues to go through and what early stage is about. I'm not saying it is easy to have a cancer experience of any kind, but years of treatment and hundreds of rounds of chemo are very different than six rounds of chemo, and cancer throughout ones system is almost a different disease than cancer in a breast. They shouldn't be lumped together. Of course, it's all bad, but the danger is that the early stage person could end up like me. When they do, they'll understand the huge difference. Even if the marijuana made you hungry (which it won't in this case),it doesn't get rid of the pain of eating. Can you imagine how horrible it would be to be ravenous and not able to eat? I also think you were crystal clear. At times, I think people post passive-aggressively, somehow thinking their "cancer superiority" will somehow spare them the same outcome one day. Then there are a ver few who truly don't get it, and even fewer who are trying to help. I thought your post was very well written and educational. I'm so sorry you're going through this. Thanks for trying to educate. I'm grateful for you. Wish we knew this when my friend Linda was dying. She love ice cream so we'd tempt her appetite with it. My heart is breaking for you and your family, but I really appreciate your sharing. I'm experiencing cachexia with end-stage cancer now and much nausea. But, my appetite is strong again (though meals are tiny) and my food cravings have completely changed. Ginger tincture and lemon-ginger ice are my friends...but zofran is my BFF, or rather, best friend for now. Appetite will wane again, but I'm grateful for these moments of enjoying small amounts of food now...I too am a foodie and, like human touch and nature, food is a source of comfort for me. Sending so much love as you navigate these rough waters too. Ann, I'm playing catch-up. This is an excellent, informative post that has really opened my eyes. My aunt, who has COPD and a variety of non-cancer health issues, doesn't eat much at all. She is rail thin, always has been, in fact. Anyway, I feel bad because I kindly encourage her to eat and others are more forceful about it. I always thought eating or lack, thereof, was a choice. You have mad me see that it is not. All I know is that my aunt, who is like a second mom to me, isn't eating, and I am distraught. But your post gave me insight, and this will allow me to accept my aunt's lack of appetite. Thank you.